Based in Maryland, Deception Salsa and creator Chad Houck has a lineup of 5 salsas, all having the red hot cherry pepper as an ingredient, with the addition of other chiles making up the different flavors and heat levels. We met Chad at the NYC Hot Sauce Expo, and I was immediately impressed with the flavors and varieties of his Deception Salsas – so I promptly bought a case of all flavors. Ranging from Girly Girl to I Dare You heat levels, this sweet and flavorful line of salsas won the Best Salsa Product Line of 2012 from ILoveItSpicy.com. Deception Salsa is apparently reserving the missing Heat Index numbers for future products. We’re looking forward to them. 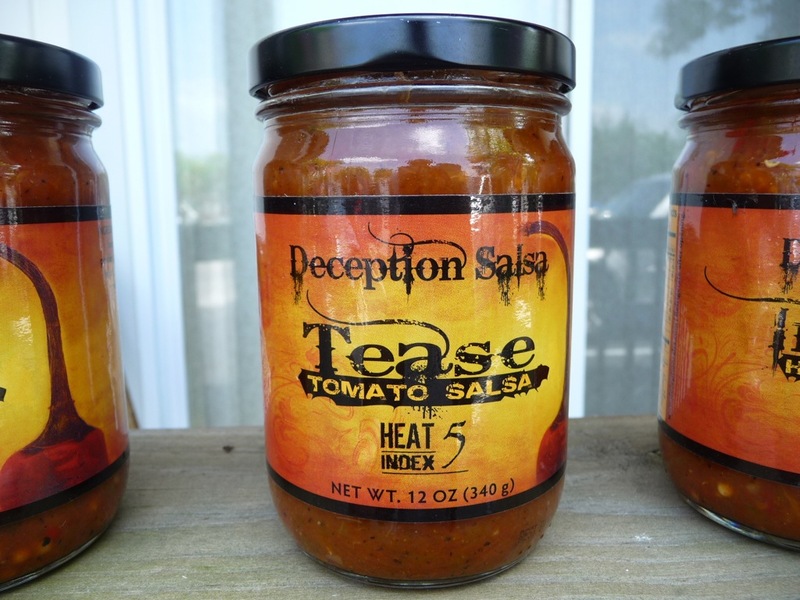 We’re starting this series of Deception Salsa reviews right in the middle of the pack, with their Tease Tomato Salsa. 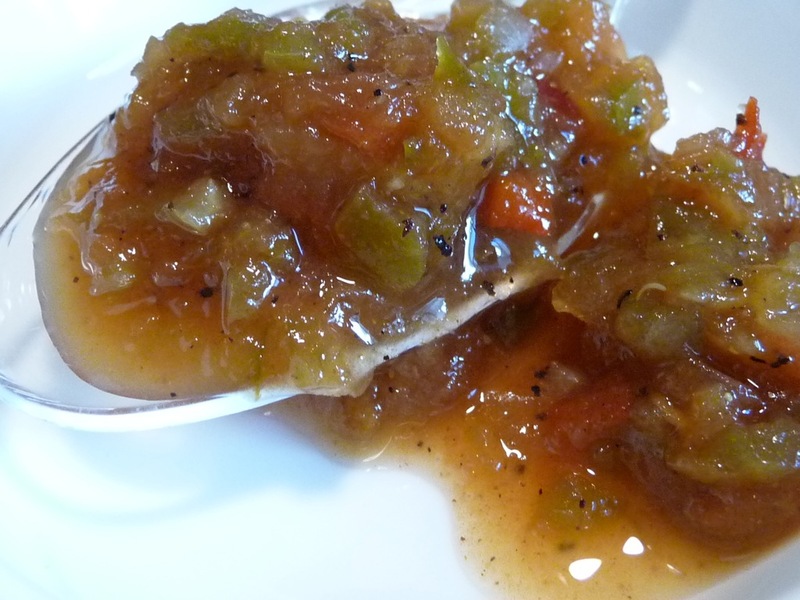 With a heat index of 5, and my personal favorite of the bunch, it’s a great middle of the road salsa to begin with. Our salsa’s start out with a sweet note and then, about 10-20 seconds later, the heat comes up. It’s this deceiving flavor that sets our salsas in a league of their own. Ingredients: tomato, onion, sugar, green bell pepper, jalapeño pepper, red hot cherry pepper, habanero pepper, white distilled vinegar, chili powder, black pepper, cumin, citric acid, garlic – 12 oz wide mouth jar. Texture & Appearance: – This bright green salsa is of a medium grind, with an overall consistent chunkiness to it. It looks like a relish and I love the texture. Taste Straight Up: – Big fresh flavors up front, with lots of sweetness. The sugar and natural sweetness from the cherry peppers is front and center. Then the heat kicks in followed by a mild smokiness from the cumin and chili powder. 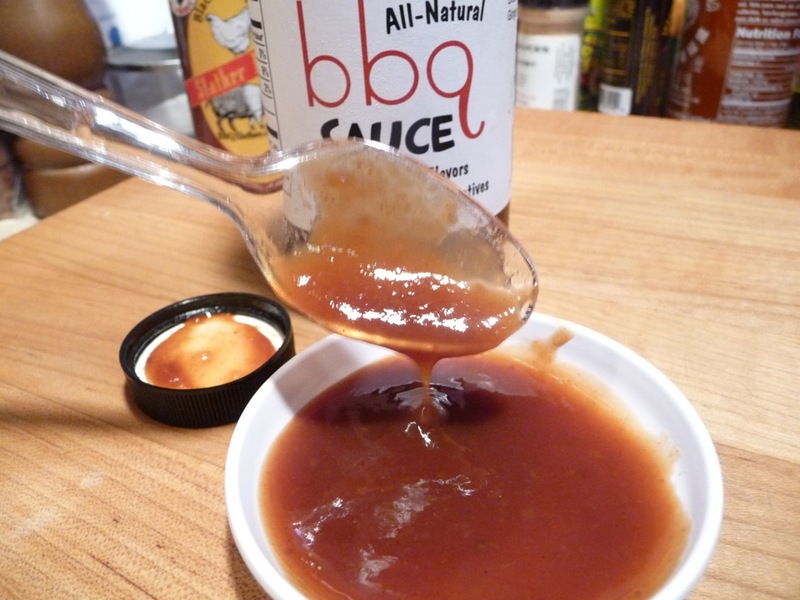 Heat Level: – I enjoyed the sweetness first, and then the tomato and onion flavors. Finally, the pungent pepper flavors come in finishing up with a full mouth of medium heat from the jalapeño and habanero peppers. This is a true “medium” heat level salsa. Label/Graphics: – Simple graphics adorn all of the Deception Salsa bottles, with a nice burnt-orange background. I’m a sucker for the font they use (it shows up everywhere on the ‘net from BBQ to Southwestern to cowboys-ropin’-in-doggies sites) and I think it’s solid. 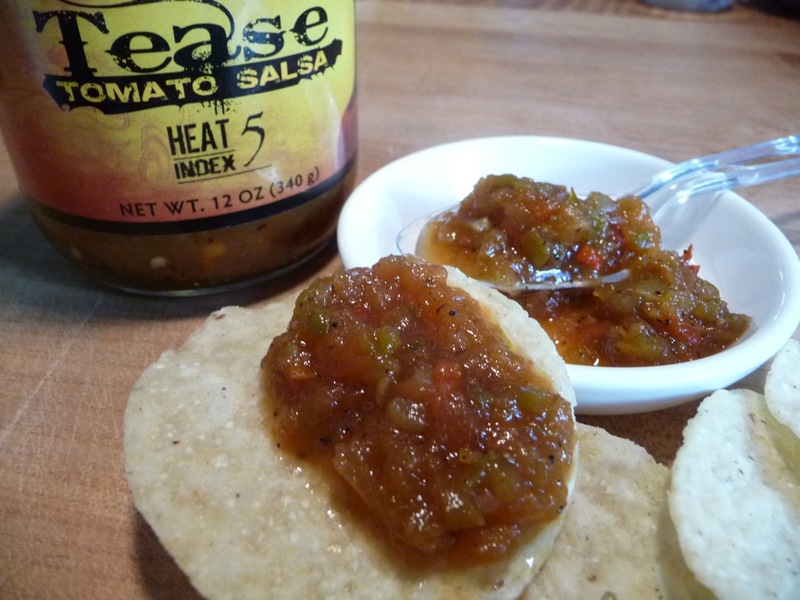 The label tells you what salsa, what heat, and that’s all you need. Great looking jars. Chips and salsa – perfect. Overall Rating (Taste on Food, Final Thoughts): – It’s a salsa. Delicious on chips, I could eat a whole jar in one or two sittings. 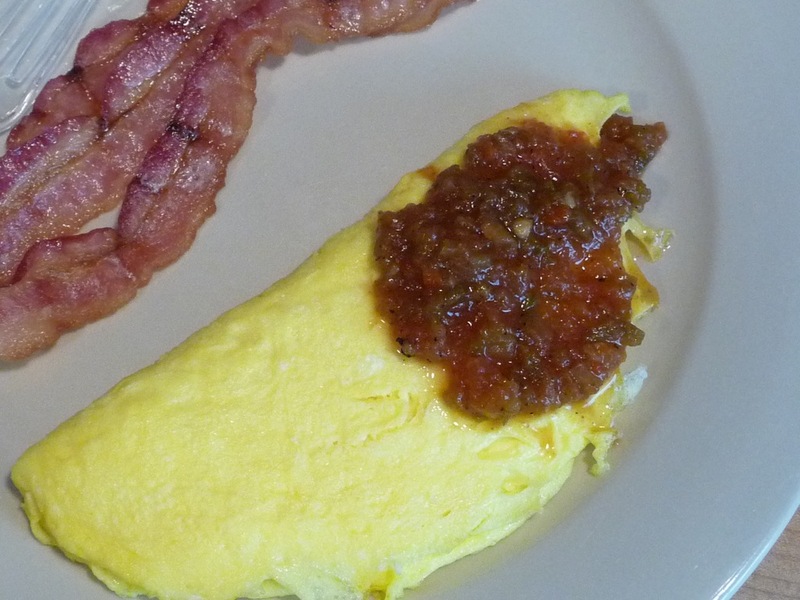 I also had some on a cheese omelette that really brightened up the egg. I simply can’t say enough about this salsa and how much I enjoyed it. I can’t wait to dive into the other flavors. This is the first in a series of the Deception Salsa reviews. Be sure and check out our reviews of their other salsas: Girly Girl, Entice, Insanity and I Dare You, as they are posted. Visit http://www.deceptionsalsa.com to get your hands on some of these great salsas.